Gia has always never loved perfect things--or perfect people. The most beautiful things shine not in spite of their imperfections but because of them, because that's what makes them unique. 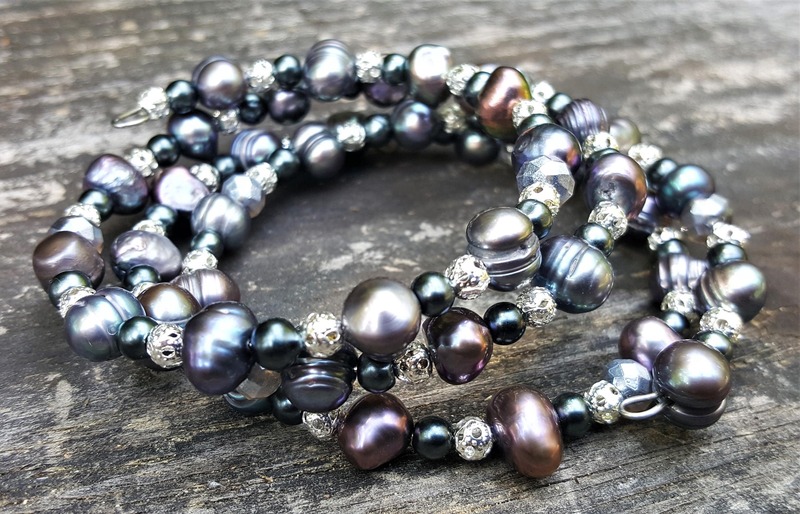 Each of these bracelets features silver and hemitate colored beads interspersed with irregular deep purple pearls. 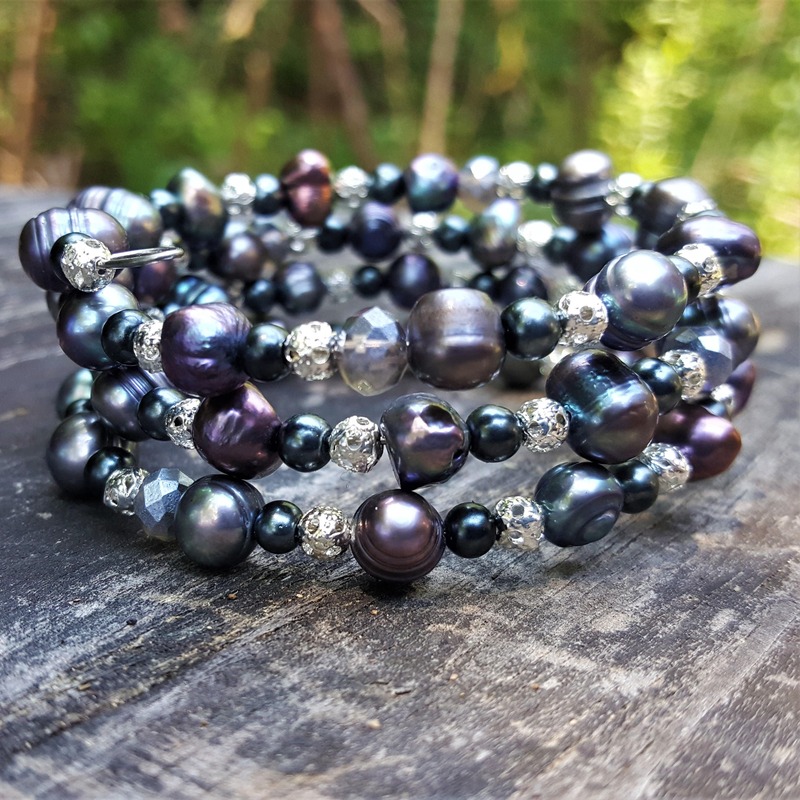 NOTE: Each bracelet is handmade and may contain some minor variations from the example in the photograph--beads in slightly different orders or different types of silver or spacer beads used. But all bracelets are essentially the same in aesthetic and design.